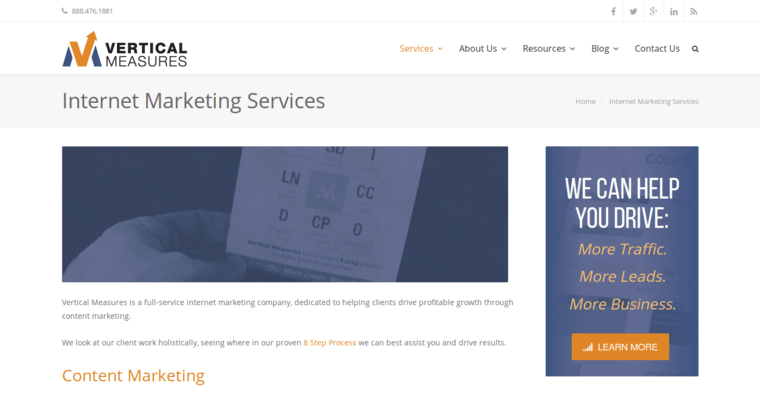 Vertical Measures is an SEO agency which also specializes in content marketing and paid marketing. The firm's SEO services are based on providing an on-site SEO audit as well as the analysis of a website's backlinks. The company also offers link building and keyword research services to further boost a website's SEO. 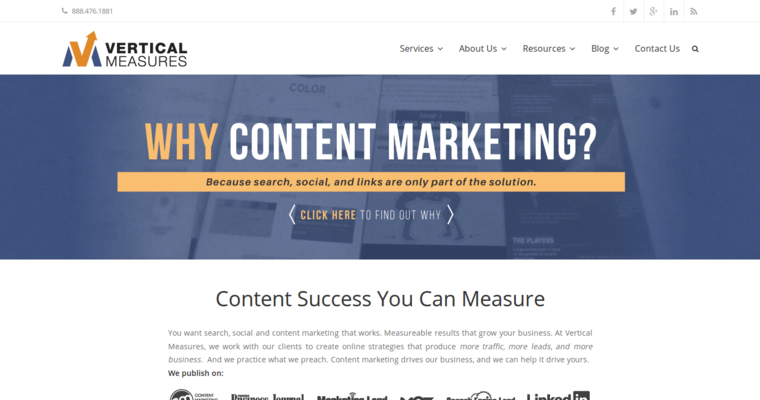 Vertical Measures also offers various content marketing services including different creative content services as well as a service in which the company develops a content marketing strategy for its clients. 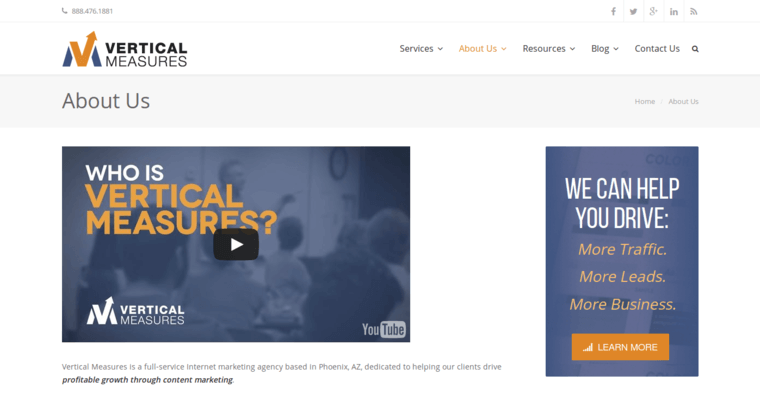 The company also offers a paid media service in which they help manage a client's paid advertisements on platforms such as Facebook.